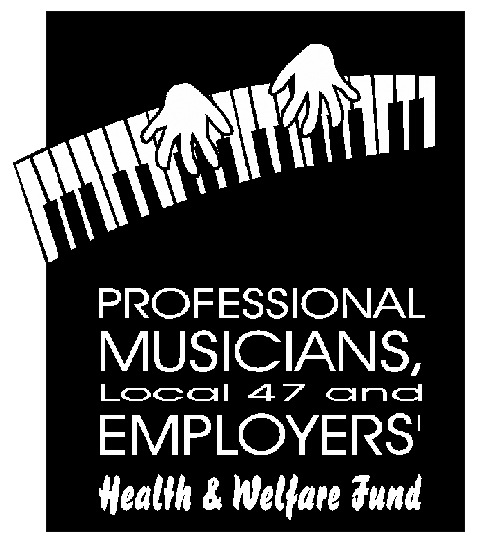 Commencing with the Jan. 1, 2020, coverage year, the minimum initial eligibility threshold to qualify for enrollment in medical plans sponsored by the Professional Musicians, Local 47 and Employers’ Health & Welfare Fund (the “Fund”) will be reduced to $700 in Employer contributions. Thus, effective with the current Qualifying Period — Oct. 2, 2018 through Oct. 3, 2019 — the amount of Employer contributions necessary for eligibility at the Fund’s “C Level” of coverage/benefits shall be $700 (including any available permissible carry-forwards from the 2017/2018 Qualifying Year). Therefore, and effective with the benefit period beginning January 1, 2020 — for which qualification determination is based upon employer contributions remitted for work performed Oct. 2, 2018, through October 3, 2019 — the Fund will provide benefit/coverage options at three Levels of eligibility starting at $700 in Employer contributions for qualification at “Level C” coverage. The qualifying amounts for each Level and the medical plan associated with that Level are listed below. Effective with the qualifying period that started on Oct. 2, 2018, and for eligibility to enroll in one of the three Levels of the Fund’s medical plans for the coverage year commencing Jan. 1, 2020, the minimum amount of Employer contributions necessary for a participant to qualify will be $700 “Level C” enrollment/coverage, $1,200 for “Level B” enrollment/coverage and $1,500 for “Level A” enrollment/coverage. If there are insufficient Employer contributions in the current qualifying period, there will be a look back period of 12 months from the start of the most recent Qualifying Year (Oct. 2 of each year). Should a participant have any unused contributions in the 12-month look-back period (the previous Oct. 2 through Oct. 3), a maximum of $600 in unused employer contributions from the immediately preceding qualifying period (in this case Oct. 2, 2017, through Oct. 3, 2018) will be carried forward to the current period to allow the participant to achieve eligibility. Unused Employer contributions are defined as either (a) the excess of the amount of $1,500 of employer contributions, that were actually contributed on the participant’s behalf and that were accepted by the Fund, or (b) the amount of employer contributions in the preceding qualifying period, that were actually contributed on the participant’s behalf and that were accepted by the Fund, when a participant did not qualify. In either event, the maximum look-back period is the prior 12-month contribution period (Oct. 3 though Oct. 2 of the following year), and no more than $600 in Employer contributions may carry-forward. The carry-forward contributions may qualify a musician for Level C eligibility. Contributions that carry-forward may not be used to achieve Levels A or B. The decision to make the changes outlined above was not taken lightly. The Trustees have devoted considerable effort and careful consideration in trying to maintain our Health and Welfare Trust Fund in a responsible and prudent position and they reserve the right to make any future amendments and modifications to the Fund, including but not limited to benefit eligibility requirements, that will ensure the Fund’s continued ability to provide benefits to its participants and their beneficiaries. We will continue this focus as we review our plan design, annual Employer contribution qualifying levels and co-payment structures in the future. This Notice presents an overview of the Plan’s Benefits, Eligibility structure and is not intended to be all-inclusive, nor is it to be used as a Summary Plan Description. In the event there is any conflict between this Notice and the official Plan documents, the official documents will govern. The official Plan Documents will be revised to reflect the above changes adopted by the Board of Trustees. The Board of Trustees reserves the right, in its sole discretion, to change, modify or eliminate any benefits or requirement for benefits at any time, without advance notice.